Over the weekend, Alex and I got to take a day trip to Ravenna with the Outdoor Rec program. 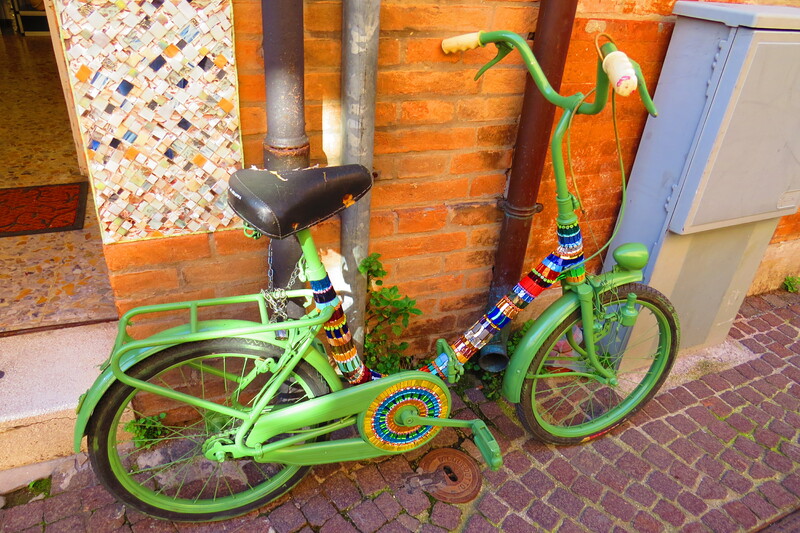 Ravenna is a town on the east coast of Italy which is well-known for its beautiful mosaics. This site was actually a slightly swampy area when the mausoleum was built, and over the centuries the earth around it rose and the building was submerged up to its dome. It was finally excavated in the late 19th century, and remains the oldest surviving mausoleum of a king from this time period. 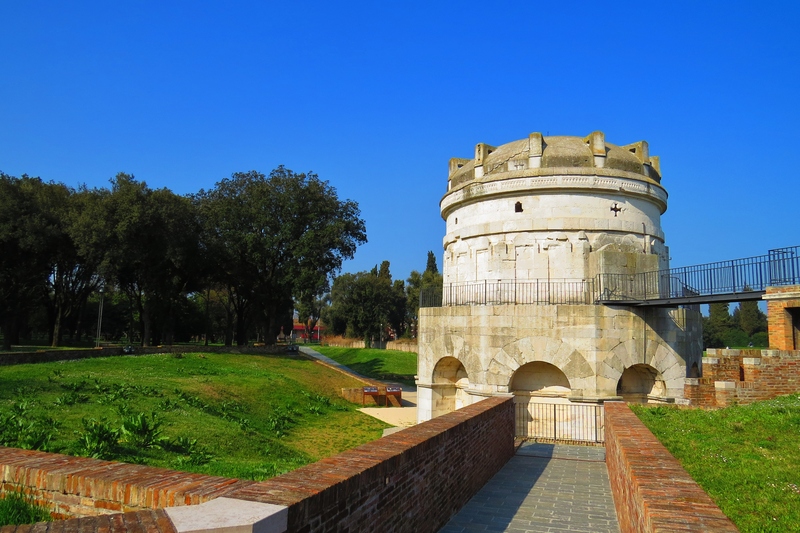 We didn’t go into the mausoleum – our guide, Matteo, said that there is actually very little to see inside it. 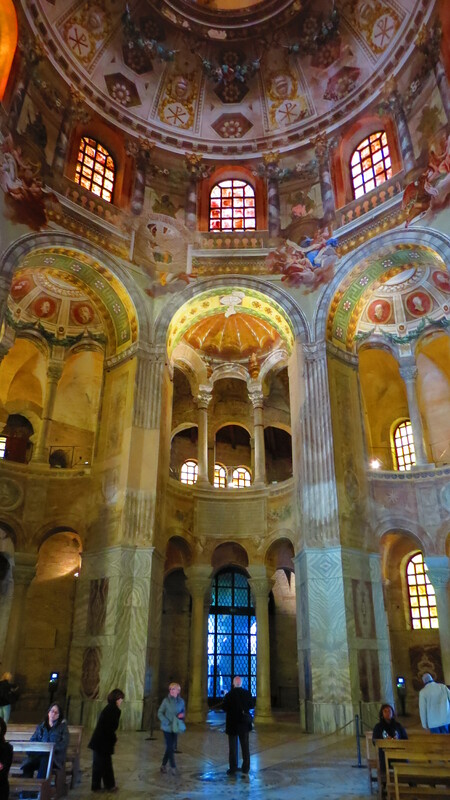 Theodoric’s remains were removed only 20 years after his death, when Ravenna was conquered by the Byzantine Empire. Fun Fact: Some weirdo built a replica of Theodoric’s mausoleum in Minnesota in 1925. Who knew? 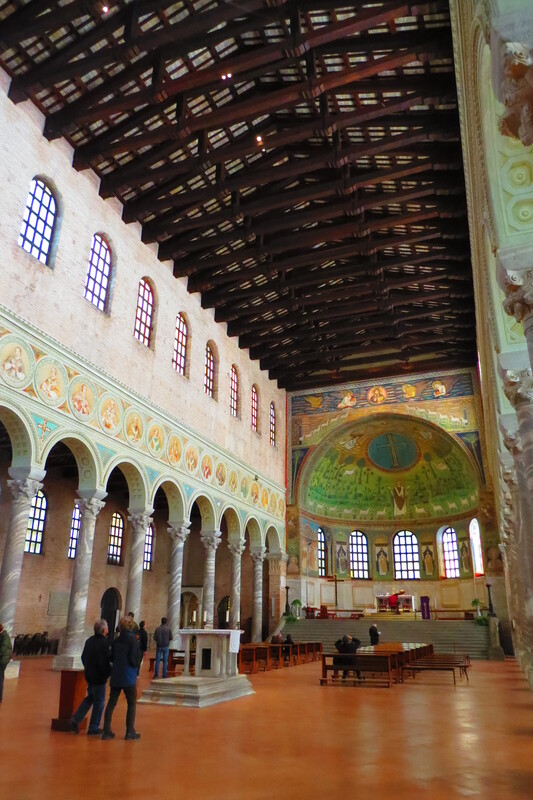 Next we went to the Basilica di Sant’Apollinare Nuovo (the New Basilica of Saint Apollinaris). This church was actually built by Theodoric as well, in the year 504. 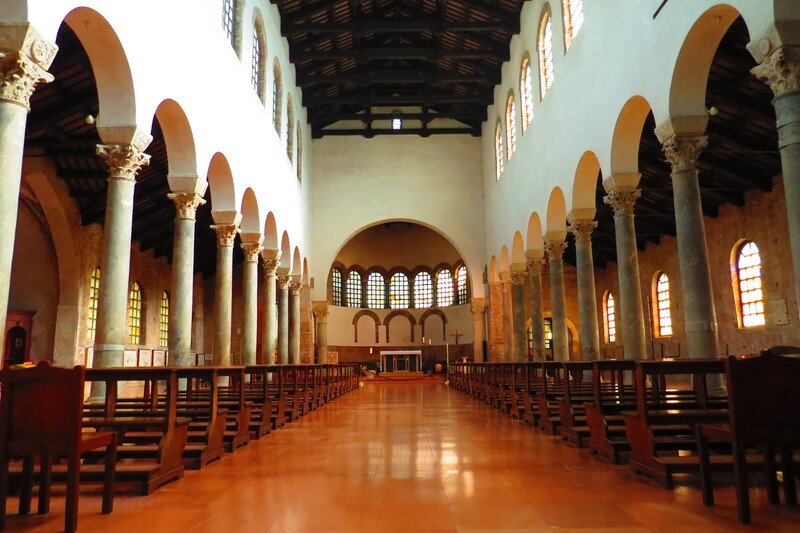 It was originally an Arian church and was later rededicated by the Byzantines to Saint Martin, a foe of Arianism. 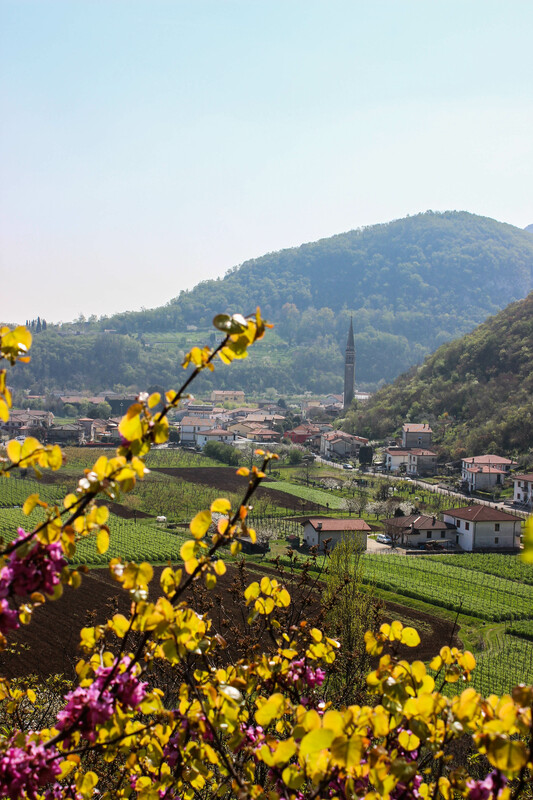 It received its final name in 856 when the relics of Saint Apollinaris were transferred there from a neighboring town to protect them from pirate raids. 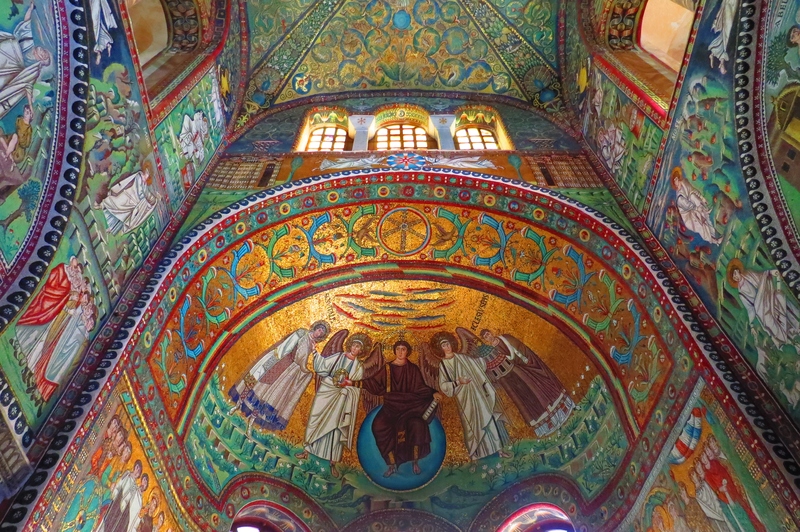 As you can see, the mosaic in the apse inside is breathtaking. 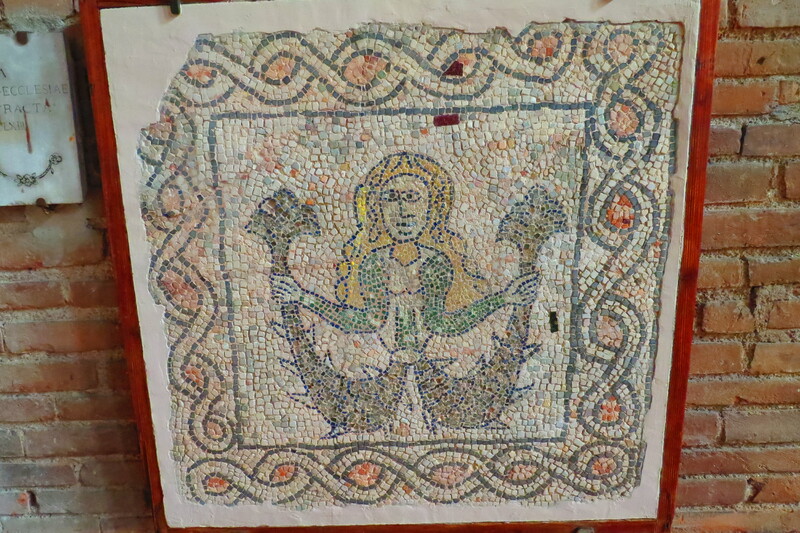 It’s hard to be sure when it was finished because when the Byzantines moved in, they altered any parts of the images that were too obviously Arian. However, we can safely assume the piece was finished during the 6th century. 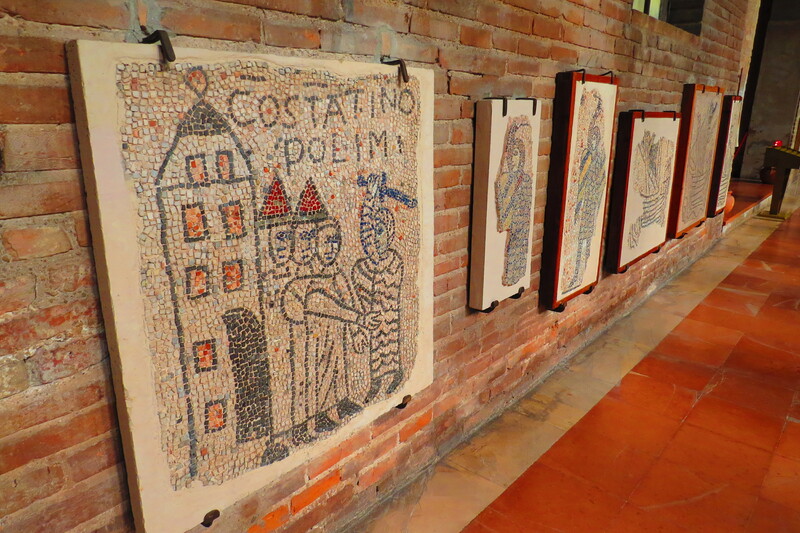 The mosaic was made with pieces of glass, which has allowed the colors to stay vibrant for so many years. The gold you see glinting in the pictures is of course real gold leaf. At the top you can see the hand of God coming down from the clouds – this is the earliest depiction of the hand of God in Byzantine art. To the left and right are the prophets Moses and Elijah, with the face of Christ depicted in the center of the cross. At the bottom you’ll see 12 sheep standing around the figure of Saint Apollinaris. At some point during a restoration project (the church was damaged during WWI), fabric was found underneath the sheep with images of peacocks. Apparently peacocks were a very popular religious image in early Christianity. The artists seem to have changed their minds though, and gone with lambs instead. You can still find peacocks carved into some of the sarcophagi within the church. 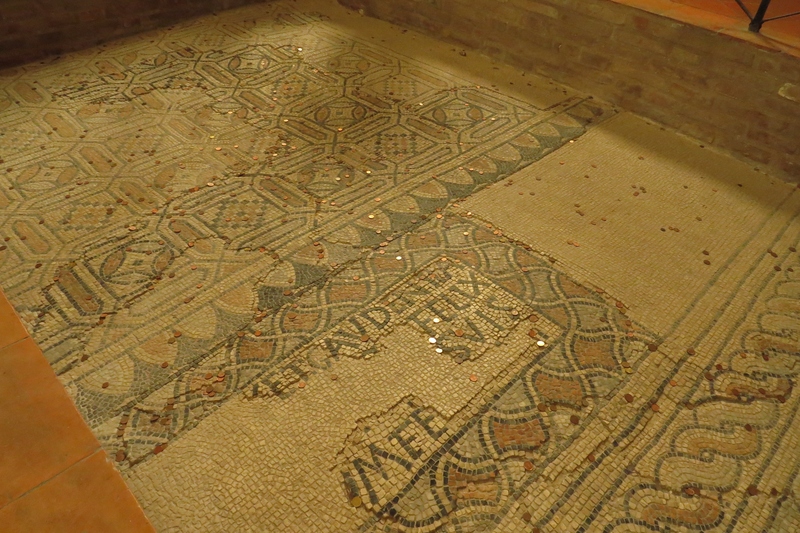 In one corner they’ve cordoned off a section where the original mosaic floor has been preserved. The difference is pretty clear – the floor was made with dull stone tiles instead of the strikingly colorful glass ones used for the apse. 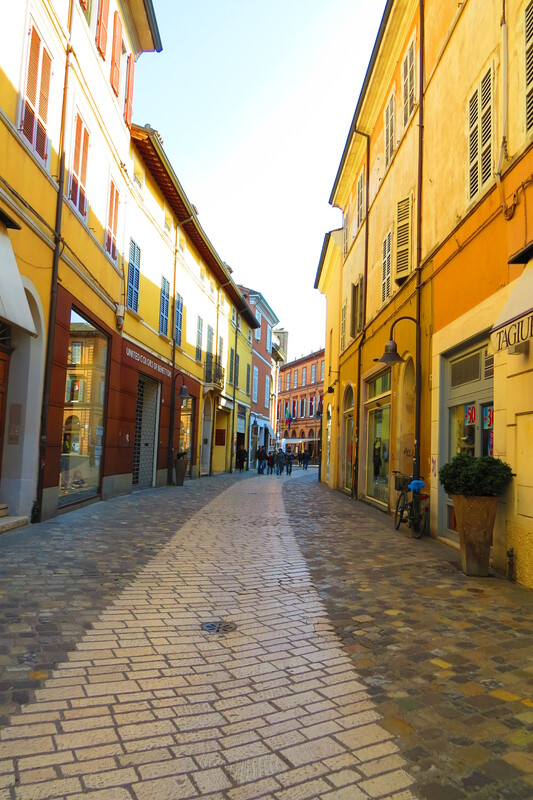 Next, we were off to downtown Ravenna. 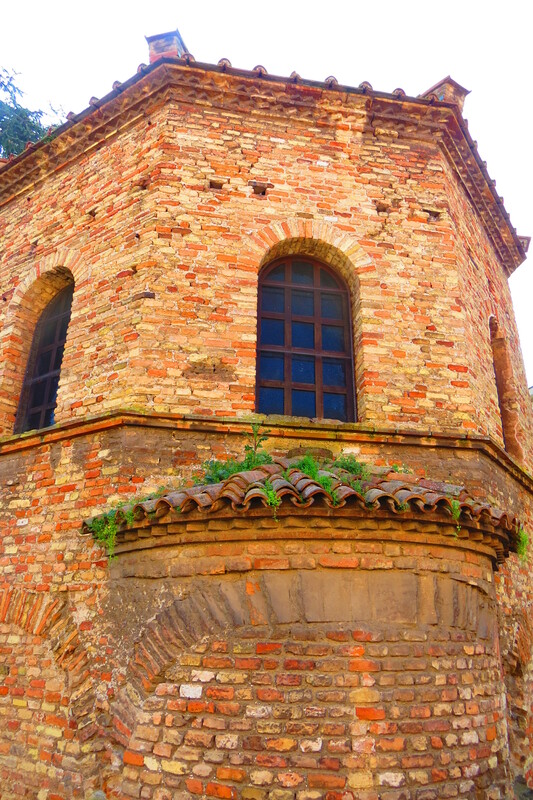 We started at the Chiesa di San Giovanni Evangelista, one of the oldest monuments in all of Ravenna. It was commissioned by princess Galla Placidia and finished by 430 AD. Aside from the architecture, little of the original art inside has survived. Many renovations have been made, and in 1213 a new mosaic floor was made depicting the Crusades. Sections of the floor have been salvaged and are now displayed in frames around the walls, and quite frankly, they’re fascinating. 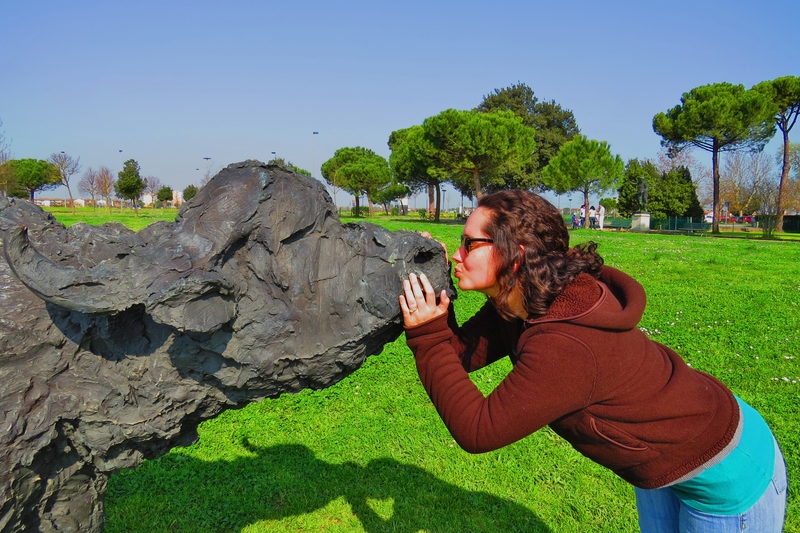 Many of them feature mythical creatures – the mermaid and griffon stand out in my memory – and others show Crusaders taking Constantinople. 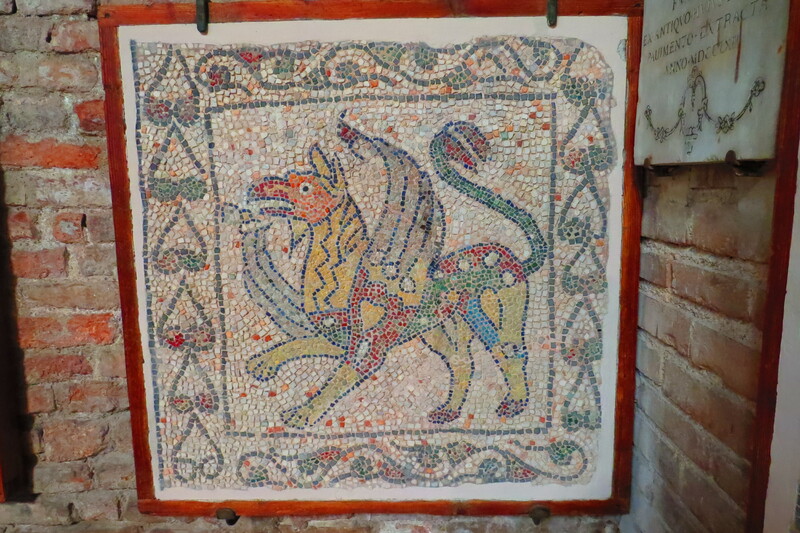 As you can see these mosaics, compared to those by the Byzantines, look like they were constructed by a kindergartener with Elmer’s glue. 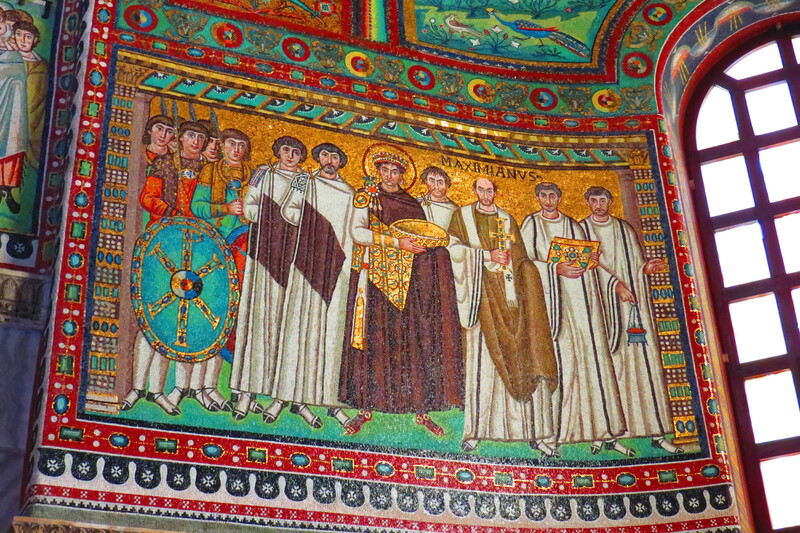 Matteo chuckled as he gave us the history, saying that the art of mosaics was clearly lost after the Byzantine empire. I think they’re kind of adorable. 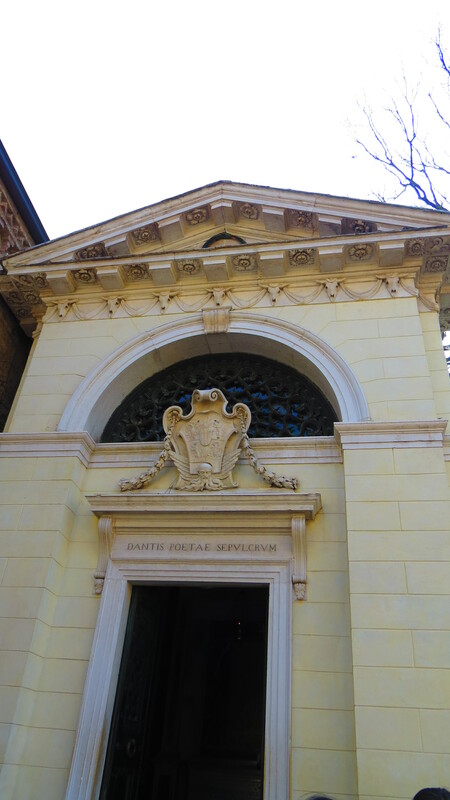 Next we went to the Arian Baptistry, another UNESCO site, and one of my favorites. This building is teeny tiny, about the size of my living room inside. This was yet another building commissioned by Theodoric the Great at the end of the 5th century, and was probably part of a much larger church. The outside of the building is octagonal, I believe, and fairly plain. Inside is a large circular stone in the floor where there used to be a bath area for baptisms. 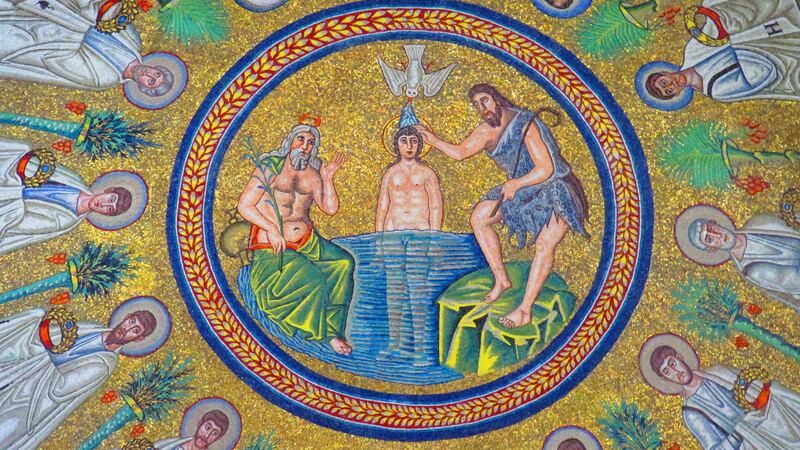 Above is a gorgeous, glowing mosaic of Christ’s baptism as a young man. To his right is John the Baptist wearing an animal skin. To his left is a pagan image – the bearded, white-haired personification of the sacred river Jordan. He’s even got horns! It was pretty amazing to see such a dramatic meeting of pagan and Christian. 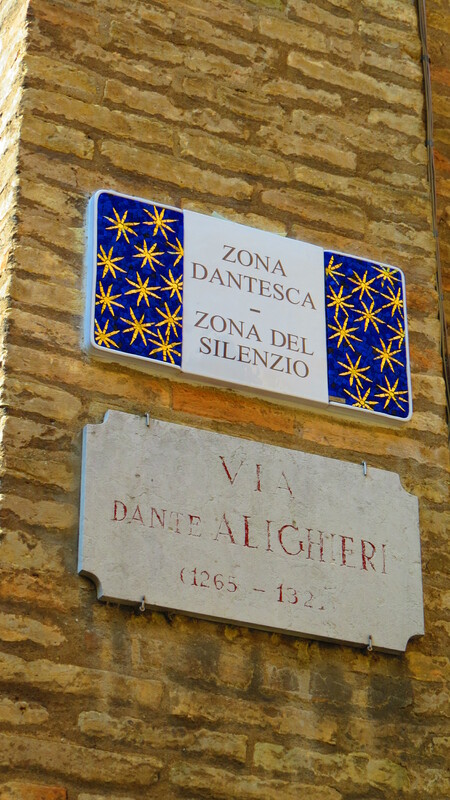 We took a little break between churches and made a stop at the tomb of Dante Alighieri (you know, the guy who wrote all that stuff). Dante was actually very influential in politics and was beloved throughout the realm. He was originally from Florence and the Florentines have been trying to restore his remains to his birthplace since the day he died. They even have an empty tomb waiting for him. Ravenna, however, continues to politely deny them, so instead Florence sends oil every year to fuel the flame that burns in his tomb. He died from malaria in 1321. 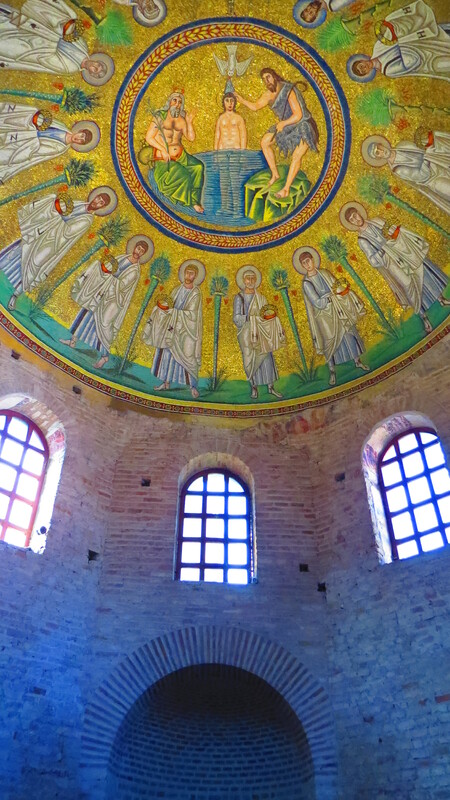 Next was the mausoleum of Galla Placidia, even though she isn’t actually buried there (yet another UNESCO site). 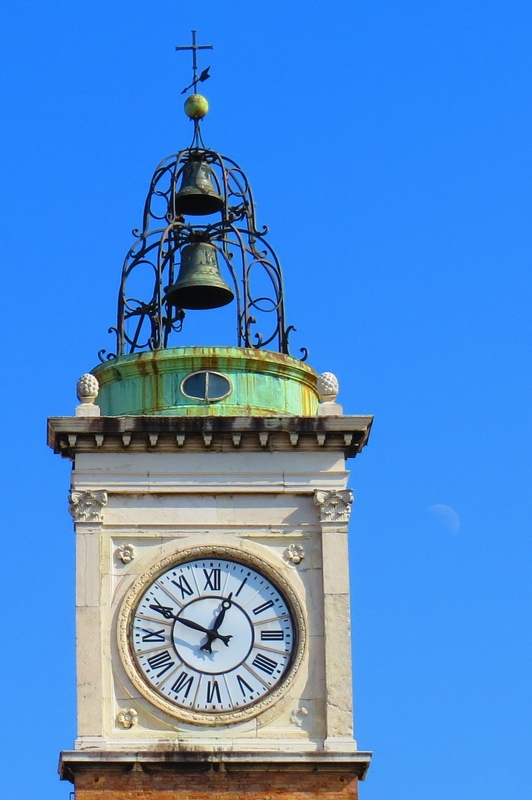 Apparently the true history of the building is a little hazy…. 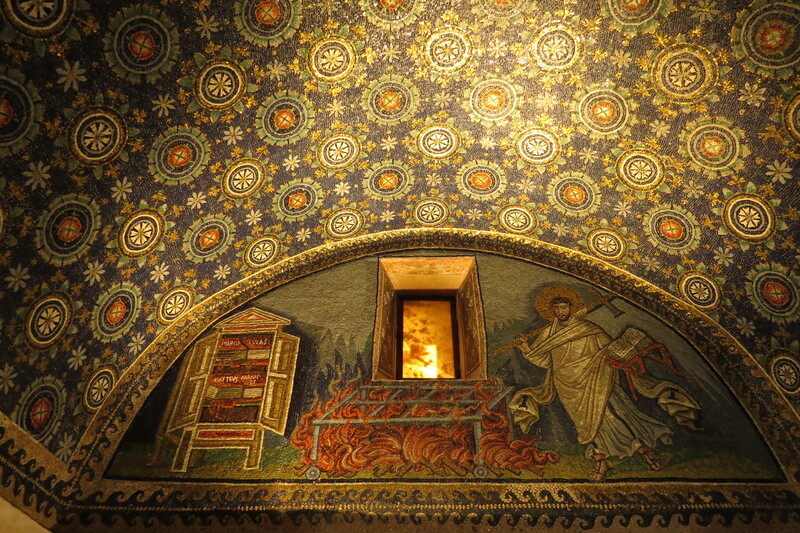 Galla Placidia was supposedly laid to rest inside, but her sarcophagus was accidentally burned. The other two sarcophagi held her husband and her son (or possibly her brother), but the building is no longer used as a mausoleum. It was built around 417 and was formerly attached to a church that has since been lost. The interior of the small building is entirely covered in twinkling glass mosaics. Small alabaster windows allow a warm, orange light inside. As with any mosaic, the photos just don’t do it justice. 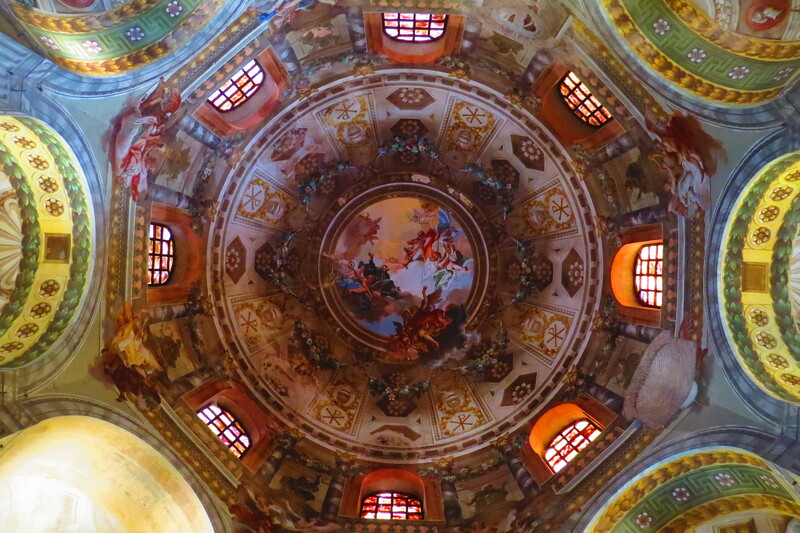 Our final stop was at the Basilica di San Vitale (completed in 547), and with good reason. This church was the gem of the trip. 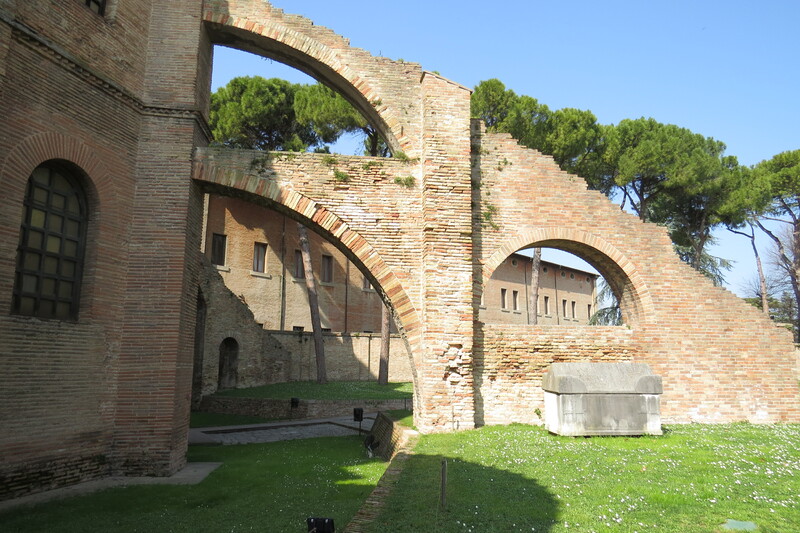 Just outside Galla Placidia’s mausoleum lies the basilica. The inside was absolutely breathtaking. I’ll let the pictures do the talking for this one. It was by far my favorite stop of the trip. 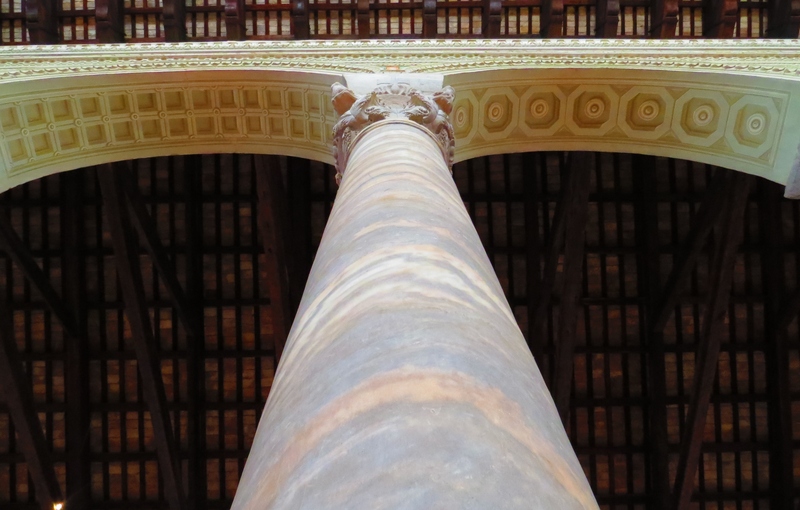 I should mention that both the Basilica di San Vitale and Basilica di Sant’Apollinare Nuovo required admission tickets. Unfortunately I can’t tell you the price, because ours were provided. However, I can most definitely assure you that whatever the cost, they’re WORTH IT. The mosaics are incredible, and probably something you won’t see again. We had lunch at Ca’ de Ven, which was very good but extremely crowded. It happened to be International Women’s Day (not so international as to be celebrated in the U.S., unfortunately), so the huge restaurant was teeming with women celebrating the day together. The servers seemed a little overwhelmed, but I’m sure that on any other day it would be an even better place to eat. Ca’ de Ven seems very proud of their selections of wine and piadine (traditional flatbread of the Emilia Romagna region). Yum! 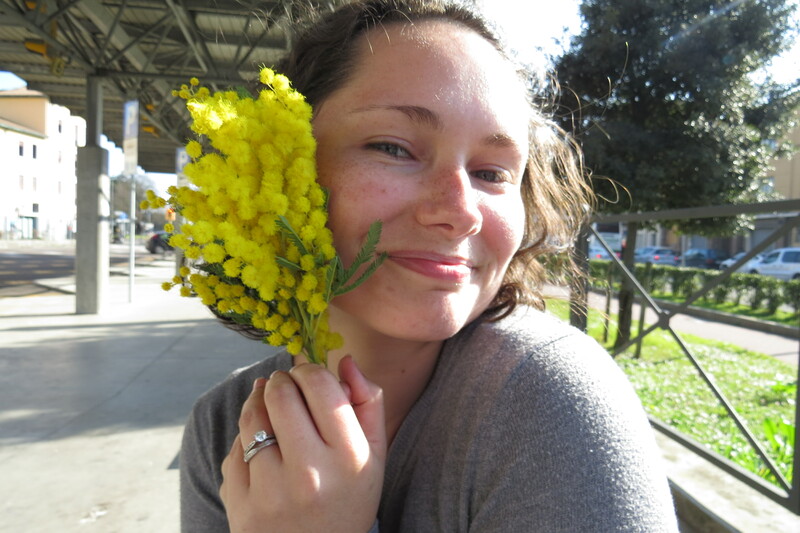 On Women’s Day, it’s tradition to give mimosa flowers. As we were following our tour guide through the streets of Ravenna, Alex disappeared. Five minutes later, he caught up to me with a tiny bunch of the little yellow puff-balls. Isn’t he sweet? They look like something out of Doctor Seuss. Thanks, handsome! Stay tuned for our trip to Nice and Monte Carlo! 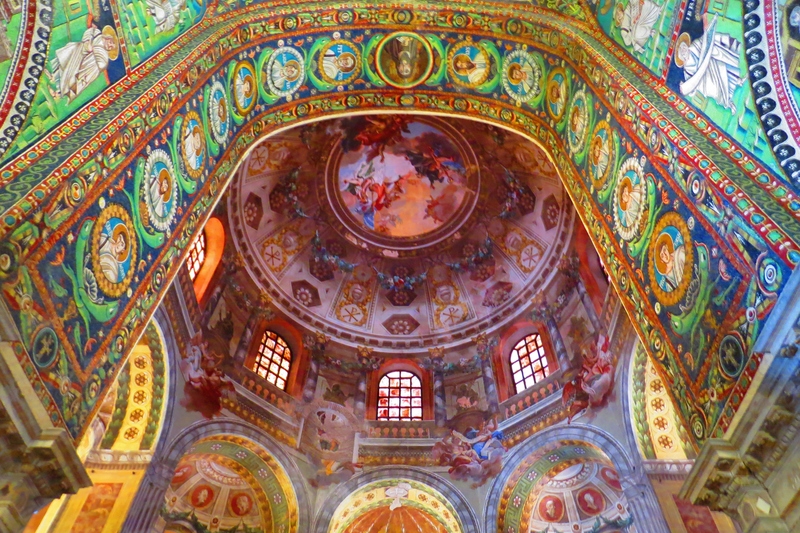 This entry was posted in Italy, Travels and tagged art, cathedral, church, Italy, mosaic, Ravenna, travel. Bookmark the permalink.